You know that you need to relax when you can no longer work well. Stress can drain even the last drop of your energy and make you grumpy at the end of the day. A good session of meditation can help you ease the stress you feel. This releases all the negative energy that’s been stuck in your body for so long. It helps you become more focused in work and in life. 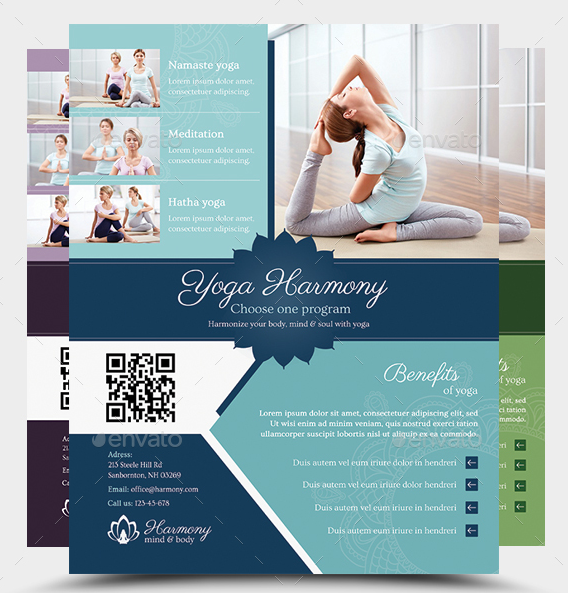 You may also like the flyer templates. 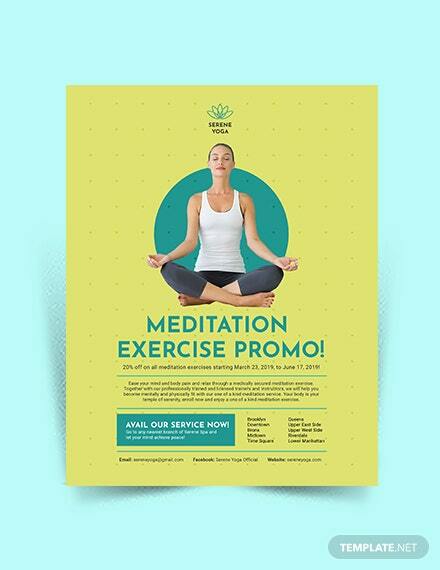 There are flyers being spread around to encourage people to meditate. These flyers have been circulating for some time, containing all the information needed. This is a good start for those who want to relax. 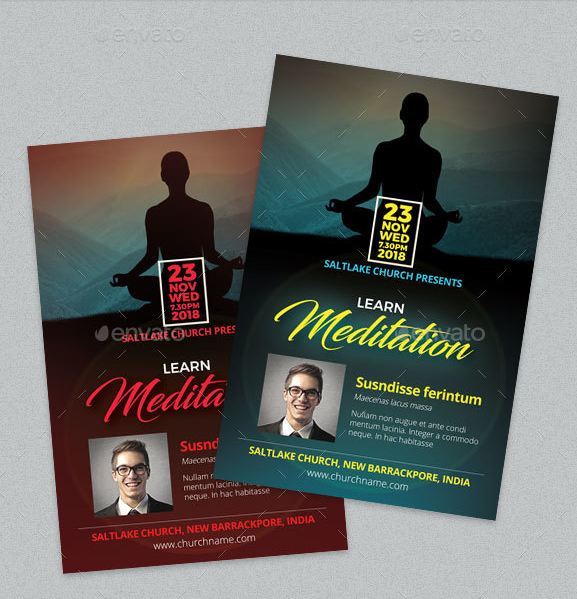 Or if you own a meditation center and you want to draw people in, you can check some of our collection of flyer templates. Immersing yourself in meditation on a weekly basis does a whole lot of good things to your body. 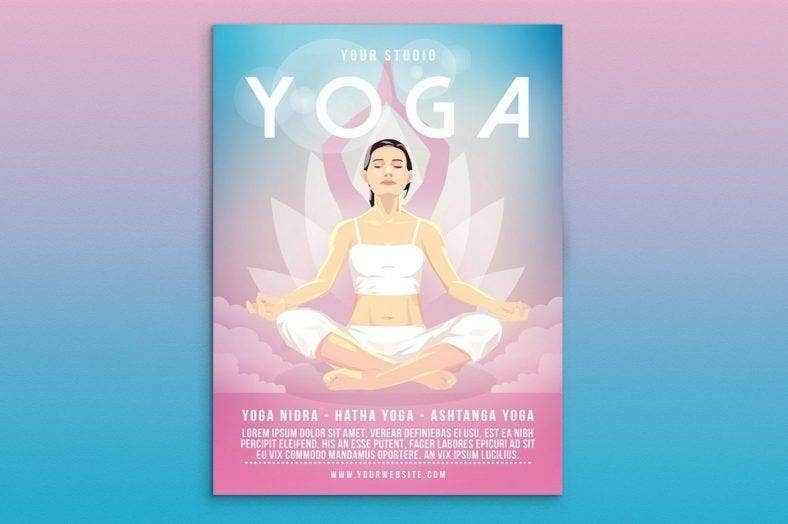 It improves your overall wellness and enhances your inner self. 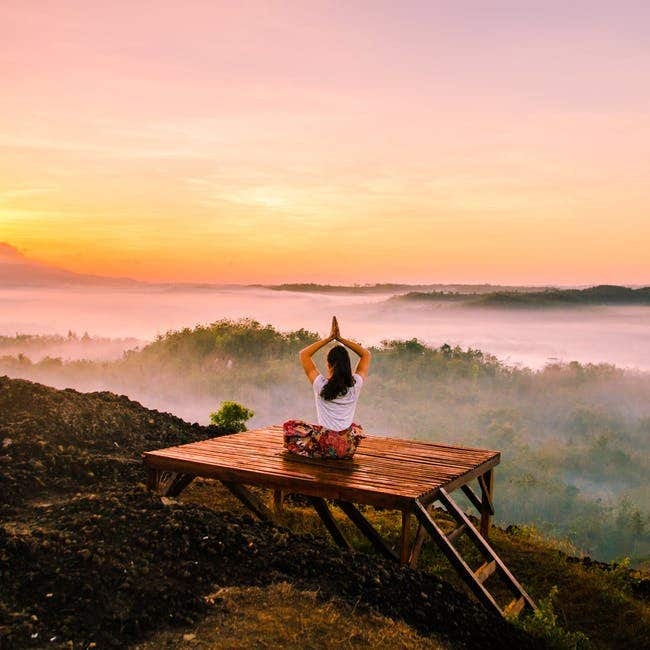 Here are some of the other benefits meditation can give. Meditation reduces stress. There are many processes of it and each process will surely get that burden off your shoulders and feel relieved. Stress is one of the factors why people become unproductive in their lives. It contributes so much to the overall non-productivity of a person. When you are stressed, you end up not doing things that are important and feel tired all the time. With the right amount of meditation, you start to feel lighter and more ready to get through the day. 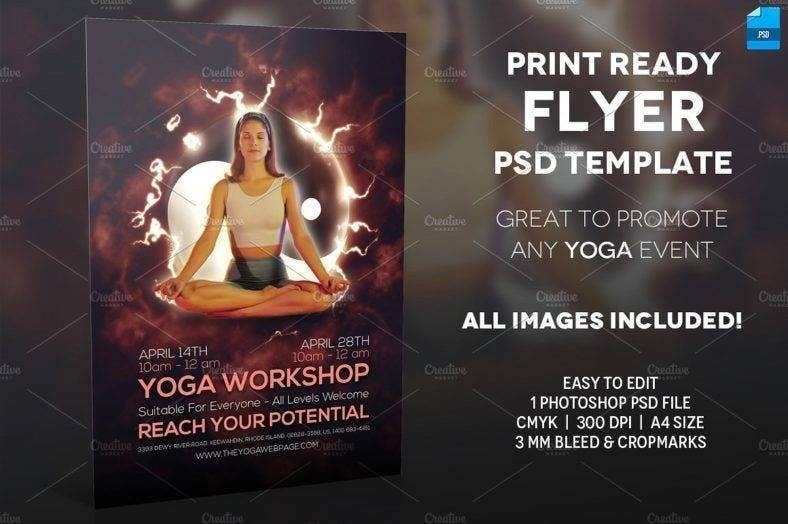 You may also see the PSD flyer templates. Meditation can sharpen your memory. It improves your ability in memorizing things at first glance. It helps your brain in picking up things that you only saw once. A sharper memory can help you in many ways. Remembering the important things that you need to do will get you more organized. You may also see fitness club flyers. When you are troubled emotionally, meditation helps ease and release the emotional baggage that you feel inside. Emotional troubles are one of the results of too much stress. It hampers personal growth and good relationships with others. The emotional quotient is as important as the intelligence quotient. Emotions need balancing and right handling. 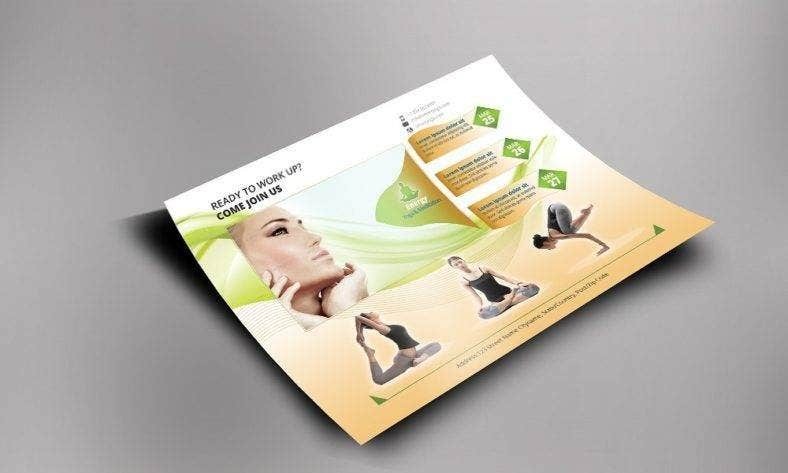 You may also see printable fitness flyers. With meditation, you learn how to share feelings with another person and strengthen your connections. Meditation is not just about improving oneself, but it also deals with connecting with others. It builds connections with one another and the start of something beautiful. Meditation has the power to bring people with different beliefs together. 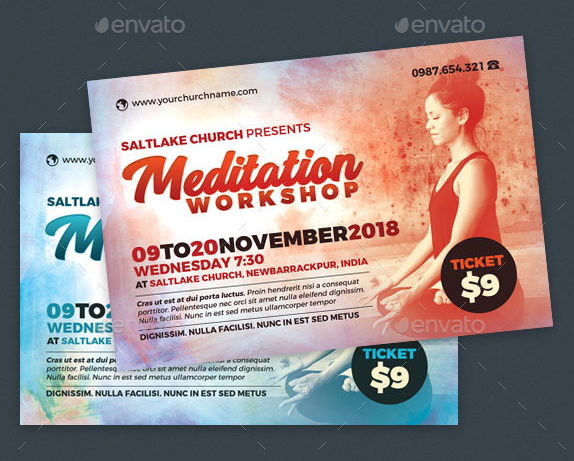 You may also see modern flyer templates. Aside from the emotional wellness, meditation also encourages a healthier lifestyle. Picking the right food to eat is important if you want to achieve overall wellness. Fruits, vegetables, meat and other healthy food will help your body in adjusting better during meditation processes. Giving up on coffee and alcohol is part of having a healthier lifestyle. Cutting off some fast food is also a big help in changing your eating habits. 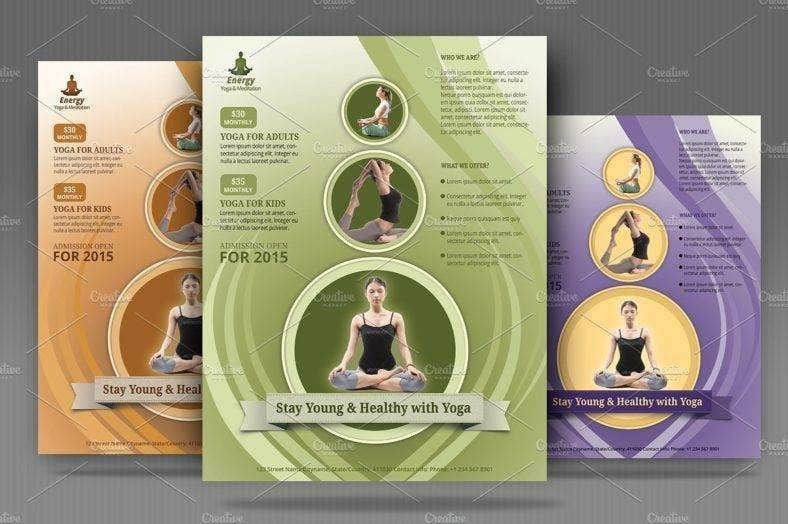 You may also see free flyer templates. Meditation is a big contribution to improving sleeping habits. Now that your body feels more relaxed, you can sleep better at night. Sleep is a great factor in energizing the body and prepare it for a long workday. Running low on sleep disables the brain from working properly and losing focus. Sleeping more than your usual number of hours at night help you in becoming more productive. You may also see free flyers in a word. Meditation is a good way to improve digestion and bowel movement if you’ve been suffering from these. Meditating twice a day helps in changing the digestion cycle of your stomach. It allows your stomach to be cleared of any unwanted toxins inside it. 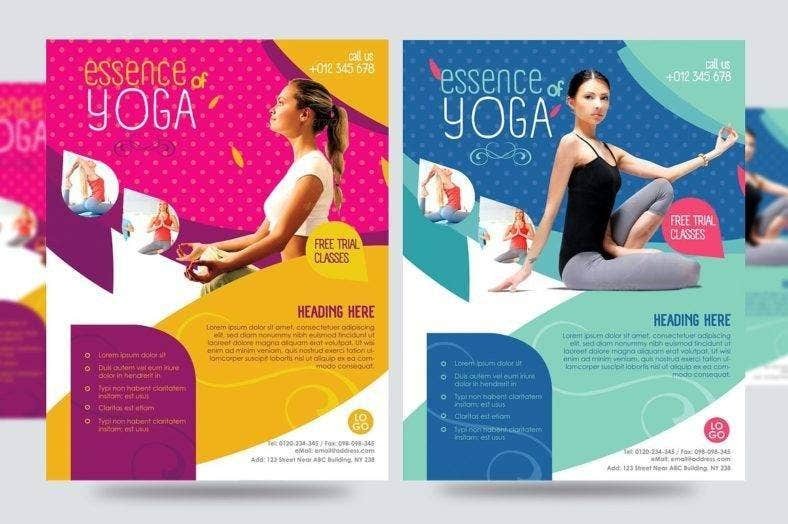 You may also see health and fitness flyers. Meditation slows the aging process. The more you meditate, the more your brain changes its physiology. This effect can be seen in the appearance of a person. It makes you look younger than your real age. All the stress has been reduced which leads to gaining more happiness. 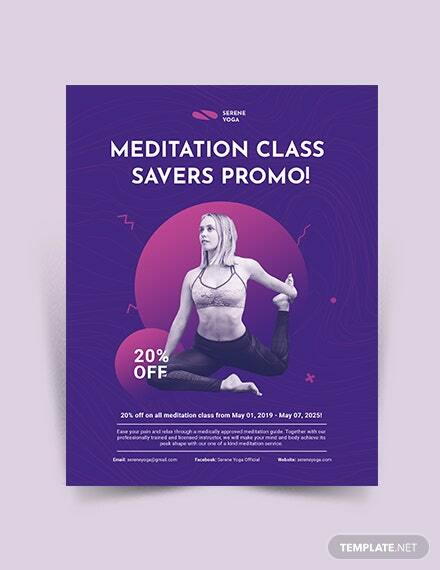 You may also see health flyer designs. Meditation allows your brain to relax well. This helps you gain more focus on doing things. Meditation also enables your brain to be cleared out of any distractions that come along the way and the problems you’ve been thinking about. 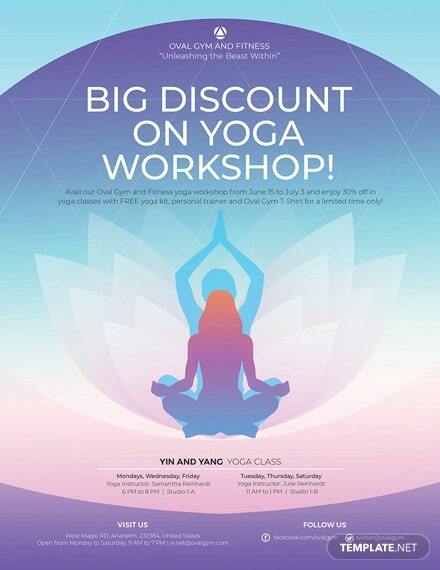 You may also see fitness flyer designs. When you meditate, your brain is slowly relaxing. How does creativity come in? Your brain allows several ideas from coming in which you can use if you’re working in a creative industry. These ideas will inspire you in creating something out of the ordinary. It helps you in improving your art and it helps you never lose sight of your artistic roots. 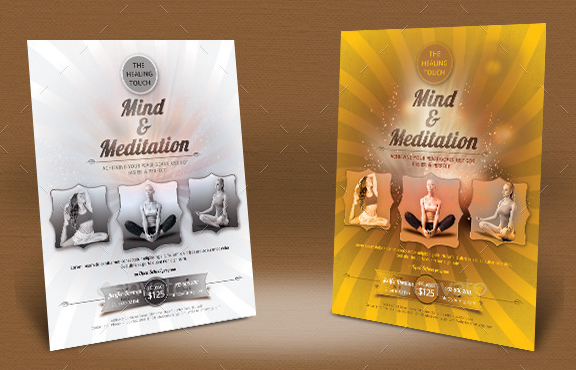 Meditation is a sure way of bringing out the creativity in you when the need arises. 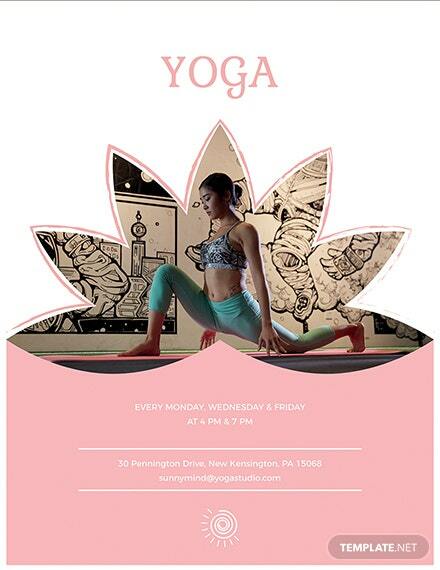 You may also see fitness center flyers. The immune system and the heart are improved through meditation. It lowers the risk of heart disease and the blood pressure as well. It also reduces the risk of cancer. Meditation minimizes the risk of having inflamed organs due to practicing unhealthy lifestyle. You may also like gym fitness flyers. Fertility is the ability of a man and woman to conceive a child. Having a more relaxed body increases the chance of fertility. This is important to couples who plan to start a family on their own. 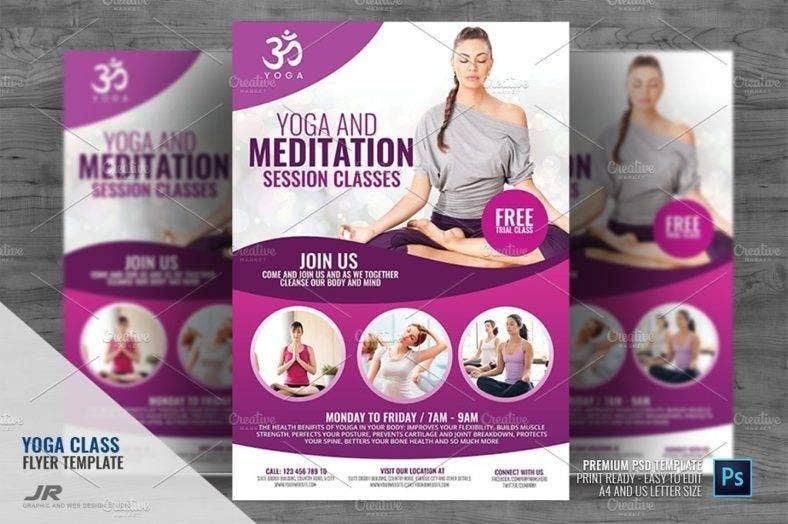 You may also like free flyer sample templates. Having a calm mind through meditation is a big help in tough situations. You know what to do and approach everything logically. On the contrary, when you have not meditated long enough, you become easily angered when tough situations arise, leading to conflict with others and yourself. Meditation also makes you become more aware of yourself and be more comfortable with who you are. You may also see the editable fitness flyers. Meditation brings more benefits to the body than you can think of. This breaks our bad habits and makes us realize how much our bodies have gone through. 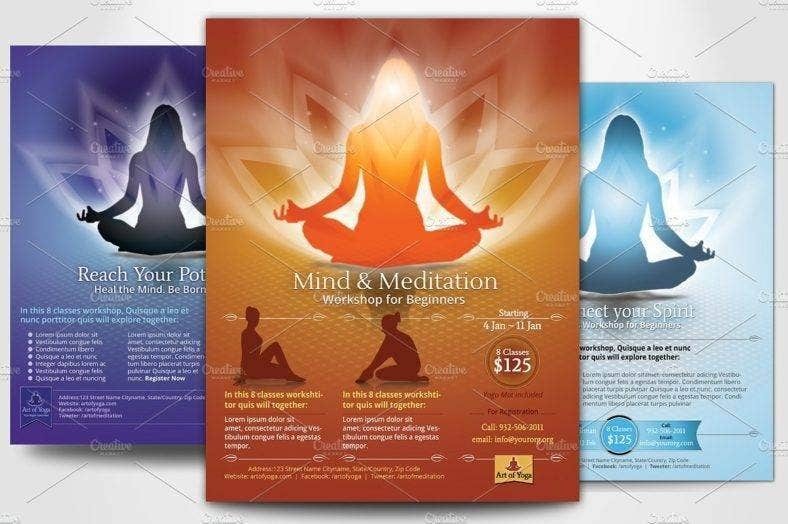 We hope this information is helpful for you in designing your flyer and starting your meditation sessions soon. You may also see fitness club flyers.